Neurotoxicological eval-uation of long-term lanthanum chloride exposure in rats. He was a previous smoker but has stopped smokingabout 6 months ago. Hippocampal volume is usually preserved in pureVCI, in contrast to AD and hippocampal sclerosis (Zarow etal., 2005). It’s virtually impossible to avoid debt in today’s society and Americans have shown that they have no problem taking on debt if it will enable them to have the things they want now instead of at some future date. 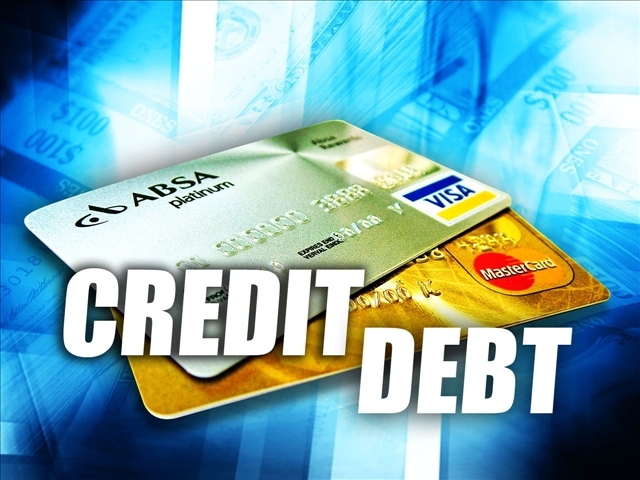 According to www.nerdwallet.com, as of August 2014, Americans have approximately $880 billion in outstanding credit card debt. In a post entitled “Not All Debt Is Created Equal!” I defined debt as a financial obligation to pay for something that you have no collateral or no possible way to pay for except with future income you’ve yet to earn. Debt that is not attached to collateral (e.g., a house or a car) other than your future earnings is typically accomplished through the use of credit. However, if you have money in your savings and investment accounts in an amount greater than or equal to the value of your debt that would allow you to pay the debt off with the stroke of a pen, you are not in debt. You have simply determined that it is more financially beneficial to use other people’s money that it is to use your own. The Wall Street Journal recently reported that regardless of how much income people earn, 70% of Americans are living from paycheck to paycheck. 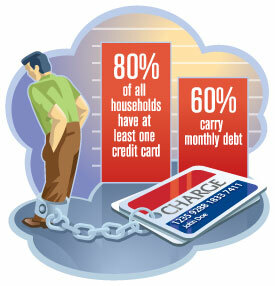 Without a designated emergency reserve, many people use credit cards as their emergency reserve. That is a recipe for disaster. In many cases, it is how people first get into credit card debt. For too many people credit cards bridge the gap in cash flow between monthly income and monthly expenses. There is nothing inherently wrong with credit cards. It’s the misuse of credit cards that gets people in trouble. In a post entitled “It’s How You Use Debt That Makes The Difference!” I introduced a couple named the Debtors. They have no money of their own, but there are many things they want and/or need and, with no money of their own, they choose to use credit and go in to debt to acquire those things. Credit is debt if you do not have the money to pay it back at the time of purchase. Credit does only two things: 1) Credit raises the cost of everything you buy with it, and 2) Credit makes it easier to buy more stuff. If a credit card company offers you a credit card with a $5,000 limit, they are not giving you $5,000. They’re simply moving up the date at which you can spend money that you haven’t earned yet and charging you a hefty price for that convenience. There are three primary types of debt available today: 1) Revolving, 2) Installment, and 3) Mortgage. Revolving debt is the most costly type of debt and is typically made up of credit cards, which allow you to use someone else’s money, pay down the balance, and use that money again. Installment debt is typically a closed-end loan, such as an auto loan, where you would borrow a specific amount of money, for a specified period of time, and pay it back in equal installments. Mortgage debt is simply installment debt used to finance real estate. The most common way people give away their wealth is by using credit. Credit misuse through an excessive buy-now-and-pay-later lifestyle can create a false sense of prosperity and set the stage for serious financial problems. Credit cards are a convenience for those who have money, not an antidote for those who don’t. Using credit to finance your lifestyle is a prescription for poverty. Many people are attempting to accomplish too many financial objectives simultaneously and are likely unaware that their actions, while well intentioned, may be cancelling each other out. For example, saving for retirement while carrying a balance forward on one or more credit cards from month to month is actually costing people money because it is unlikely that the return on the retirement savings exceeds the interest cost of their credit cards. People in this situation should focus exclusively on eliminating all of their outstanding credit card debt, but not before they have at least one month’s living expenses in an emergency reserve. If you’re interested in learning more about the power of an emergency reserve and a simple strategy for establishing one download our FREE report entitled “The Emergency Reserve: A Critical Step to Gaining Control of Your Personal Finances” We also encourage you to contact us to schedule a time to talk about your specific circumstances.